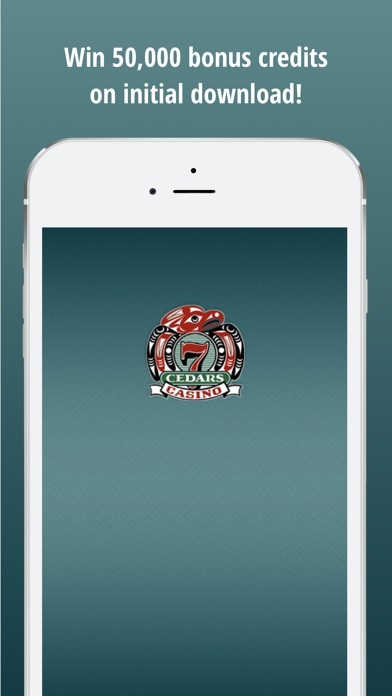 Get in on all the fun and games at 7 Cedars with the official 7 Cedars mobile app! Use the free app to get table games and slot information, check rewards club information, view dining menus, view our Live! Webcam, book a tee time, check gas prices at the Long House Market, get exclusive offers and more— wherever you are! Features Include: CASINO See some of the hottest games around. Browse our table games or view our current promotions! MOBILE CASINO Put 7 Cedars in your pocket! 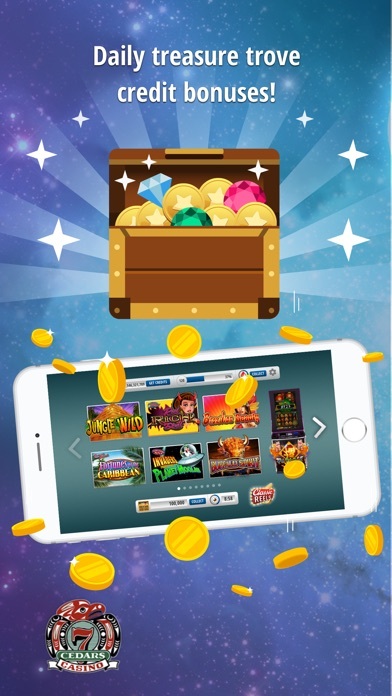 Get instant access to 7 Cedar's free slots on your mobile devices. Enjoy authentic slot content with free-to-play versions of your favorite slot games. You’ll have access to free-play versions of some of your favorite games from our casino, including Bier Haus™, Forbidden Dragons™, Reels O’ Dublin™ and more! 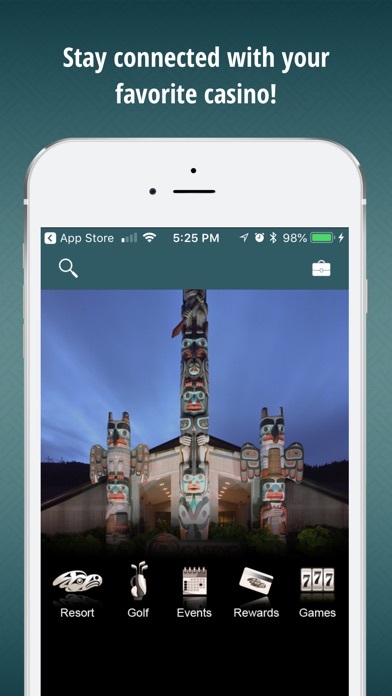 REWARDS CLUB Find out about the Totem Rewards Club. Instantly log in and check your points wherever you are. GOLF Tee-off with our app! Find out about the latest weather conditions, view our Live! Webcam, check the latest tournament results, contact the Pro Shop, and more! LONG HOUSE MARKET & DELI Want to find out more about Harvest Deli or Raven Wine and Spirits? Find out the latest gas prices? Do it from the app! DINING & FUN See the dining menu for Totem Bar and Grille, or check out some of the nightlife action 7 Cedars has to offer. You can access all dining and event information right from the app. MAPS Access overhead custom GPS maps or view detailed property maps of the casino, golf course and surrounding area. You can even drop a pin onto the satellite map to remember where you parked or where to meet friends. IN-APP SEARCH Use the embedded smart-search bar to find content by keyword. MY 7 CEDARS Whether you want to bookmark information about our latest offers or events, you can save any page to create your own itinerary. DIRECTORY Need to contact group sales or the golf course? The app connects you instantly. STAY CONNECTED! Find out about the latest buzz at 7 Cedars with our scrolling Twitter feed, connect with us on Facebook, or join our email list! ...AND MUCH MORE! 👍👍 fun way to burn time with out doing the same to your wallet!! Great games without going broke, lots of fun. Great fun playing slot games I recognize. Fun app, get if you like gambling. But it's smoke-free in the comfort of my own home, and the games are free. You don't lose any real money, unless you're stupid enough o buy coins. The leveling-up process is fairly tim-consuming, and so you're stuck with some of the less-popular games at first. My favorite game is at level 230, so I'll be playing for two years before I get up that high. Games are enjoyable. Hoping to unlock another one soon. Works fast and smooth. The slot machine is just like the one in the casino. Except I won on this one. Lol...hopefully you keep supporting this app with updates. A list of bands and comedians would be nice. Couldn't seem to find that. All in all good job. Update: did find one music listing. But it wasn't in the club seven link. Maybe it should be. It was under the gaming calendar I believe. And where is the "live cam" at?